« Apple Once Again Tops Retail Chains In Sales Per Square Foot in U.S.
Samsung has rapidly become the dominant manufacturer of Android-devices and Apple’s most principal rival both in the marketplace and the courtroom. 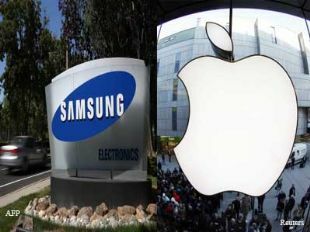 But as the AFP reports, Samsung has no intention of settling disputes with Apple. "We have no such intention"
"It may be true that HTC may have agreed to pay 300 billion won (US$276 million) to Apple, but we don't intend to (negotiate) at all". The terms of the settlement between Apple and HTC were not disclosed, but market observers estimate that HTC will pay Apple from $6 to $8 per smartphone, which would translate to $180-$280 million a year.